A disaster can happen at any time. Some disasters give warning like a storm preceding a flood. Others, like earthquakes give no warning. Once a disaster happens, the time to prepare is gone and all you can do is cope. Take the next few minutes to examine what you can do to prepare. Families can–and do–cope with disaster by preparing in advance and working together as a team. 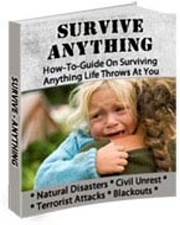 Follow the steps listed in this guide to create your family’s disaster plan. Knowing what to do is your best protection and your responsibility. Contact your local Red Cross chapter or emergency management office–be prepared to take notes. Learn about your community’s warning signals: what they sound like and what you should do when you hear them. Find out about the disaster plans at your workplace, your children’s school or day care center, and other places where your family spends time. Meet with your family and discuss why you need to prepare for disaster. Explain the dangers of fire, severe weather, and earthquakes to children. Plan to work together as a team. Pick two places to meet: Right outside your home in case of a sudden emergency, like a fire, and another location outside your neighborhood in case you can’t return home. Remember, everyone must know the address and phone number. Ask an out-of-state friend to be your "family contact." After a disaster, it’s often easier to call long distance. Other family members should call this person and tell them where they are. Everyone must know your contact’s phone number. Teach children how to call 9-1-1 or your local Emergency Medical Services number for emergency help and when. Show each family member how to turn off the water, gas, and electricity at the main switches. Get training from the fire department for each family member on how to use the fire extinguisher, and show them where it’s kept. 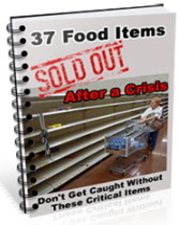 Stock emergency supplies (see our checklist) and assemble a Disaster Supplies Kit. 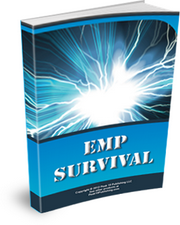 Determine the safest places in your home or office for each type of disaster. Quiz your family every six months or so. Working with neighbors can save lives and property. Meet with your neighbors to plan how the neighborhood could work together after a disaster until help arrives. Know your neighbors’ special skills (e.g., medical, technical) and consider how you could help neighbors who have special needs, such as disabled and elderly persons. Make plans for child care in case parents can’t get home. Take your Disaster Supplies Kit with you. Use travel routes specified by local authorities–don’t use shortcuts because certain areas may be impassible or dangerous. Check for Damage in Your Home… Use flashlights. Do not light matches or turn on electrical switches, if you suspect damage.